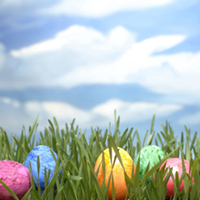 General services at Relationships Australia South Australia will be closed over the Easter break, from 5pm Thursday 29 March until 9am on Tuesday 3 April. Children’s Contact Service (CCS) has special hours. Northern CCS is open Fri 4- 6pm and Sat 10 – 5 pm (closed on Sun & Mon). Campbelltown CCS is open Sat 9.45 am – 5.15 pm (closed on Fri, Sun and Mon). Hindmarsh CCS is open Sat 9.45 am – 5.15 pm and Sun 9.45 AM – 5.15 PM (closed on Fri and Mon). Berri is closed the whole weekend. If you require any support over this break, please know that Crisis Care on 13 16 11 and Lifeline on 13 11 14 are available 24/7. Please click HERE for the full range of crisis helplines. We would like to take this opportunity to wish you a happy and safe Easter.